Arlington Heights police are investigating a Battery that occurred Thursday, February 16, 2017 at big Shot Piano Lounge located at 2 South Vail Avenue just south of Campbell Street. 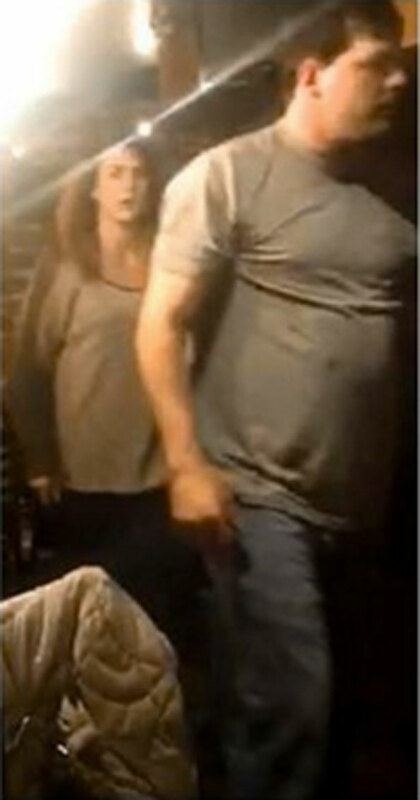 The male suspect in the photo in this article was engaged in a verbal altercation with the victim when the female suspect in the photo walked up and hit the victim over the head with a wine glass. The two suspects then left the Big Shot Piano Lounge. No vehicle description or direction of travel was available. The battery suspect is described as a female/white, age 25-30, 5’7″ 150 LBS with brown hair, brown eyes and light complexion. Female battery suspect and male, who accompanied the female; subjects in a Battery investigation at Big Shot Piano Lounge in downtown Arlington Heights.